Today the Team SeaGrass did the Sea Grass transect in Semakau. Been to Semakau countless of time, partner with Annabelle, we decided to opt for the more obscured site which is the furthest from the RMBR Guding Route. 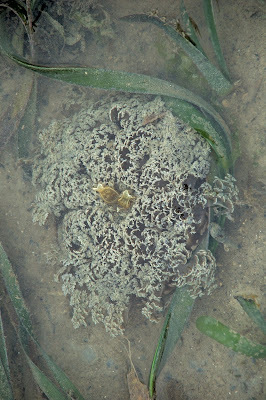 Semakau has the largest Sea Grass meadows in Singapore, and the Tape Sea Grass (Enhalus acoroides) was abundant here, and amongst this common sea grass, we found the not so common Sickle Sea Grass (Thalassia hemprichii). Alas with hand in sea water, it was not advisable to bring out the camera to capture these plants. 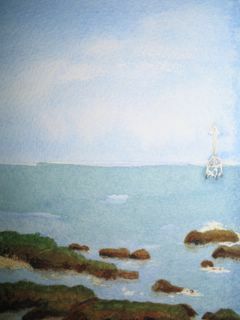 Upon completing the transact, we were in a haste to do some exploration before the high tide, even as we explore we can sense the tide was already coming in. 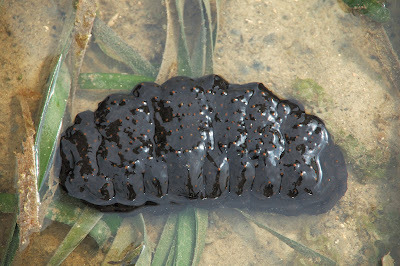 This was the first time we see such a Sea Cucumber, not too sure what it is, but suspect that it may be a Curryfish (Stichopus herrmanni Family Stichopodidae). This specimen was about 20 cm in length (relax), it was found near the sandy part, just after the meadow. Black in colour all around and with orange spots. Any confirmed ID of this specimen is most welcome. 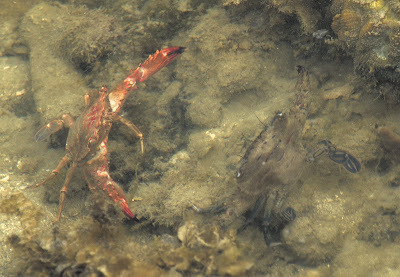 As we wade deepere into the water, we found these two related Swimming Crab sparring (Thalamita sp). Eventually the Red Swimming Crab (Thalamita spinimana) yielded and retreated. What were they fighting, probably territory right! 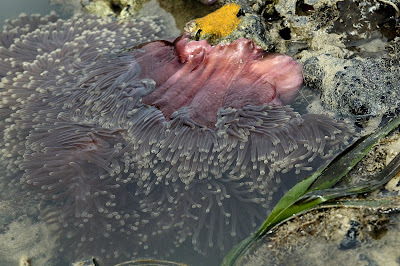 Browsing around, we saw a yellowish orange mass near to this Magnificent sea anemone (Heteractis magnifica). 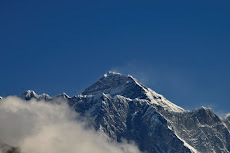 You can see that yellowish orangy mass in the centre top of the picture below. The closed up is below. 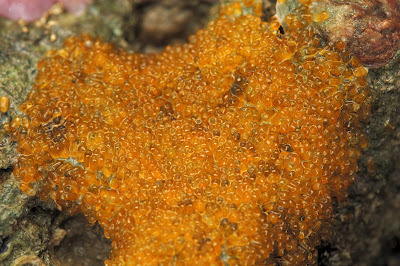 Eggs of some marine organism? We have no idea. But they look like toppings on ice-kacang! As the water flowed in, we headed back to shore and chanced upon this upside down jellyfish. The normal position, is the tentacles face upward, and the bell sits on the sea bed. We have to turn it around to snap a shot, before returning it to its normal state. 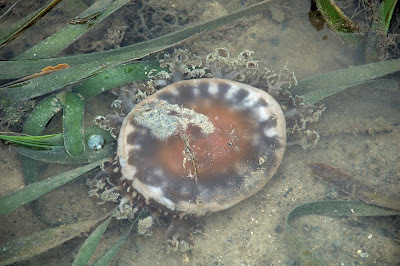 Does this jellyfish sting? To find out, Annabelle decided to run her fingers through the tentacles. The verdict - it did not sting. ooiih? where's the dogfight photo that you took near the jety? ooiih? where's the dogfight photo that you took near the jetty? Hmmm....could the orange egg mass belongs to 'Nemo'? Considering it was found near a anemone. The "dogfight" happened at the coral rubble area.